Now not everyone is a fan of eating oysters. Some are put off by the smell, others texture and others the taste. But no one can deny that oysters really do have gorgeous shells. The flat wide shapes with the clean insides are truly stunning and would have to be my favorite type of sea shell. 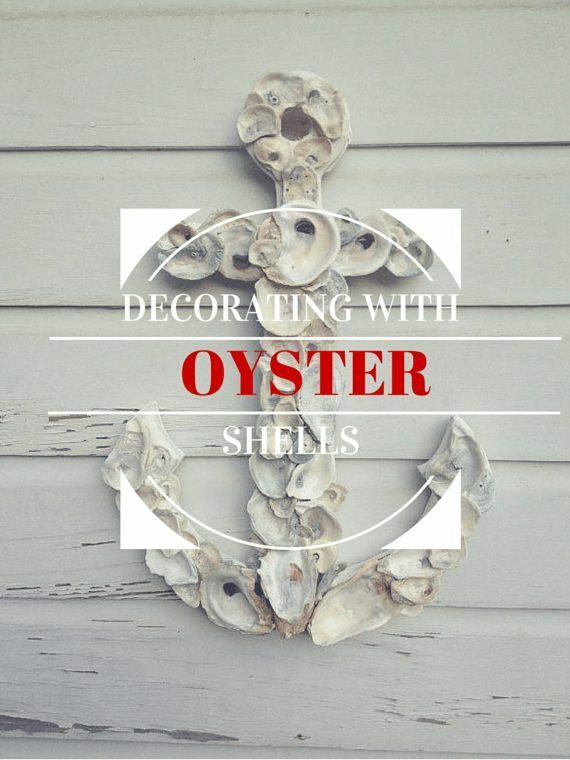 Because of their elegant appearance, oyster shells are perfect for using on decorations in your house. They have some many uses and we are going to explore a few of them in this article. However, be warned, it is addictive playing with oyster shells and you may find yourself running out pretty quickly. For a few of these you may also find that you need to bleach these shells in order to remove all the dirt and get rid of the smell, whilst at the same time keeping the inside nice and white. A great centre piece and something to most definitely be proud of. However, you are going to need quite a few shells for this one! Maybe head down to a restaurant and ask if you can have their old shells (make sure you thoroughly clean them first though)! 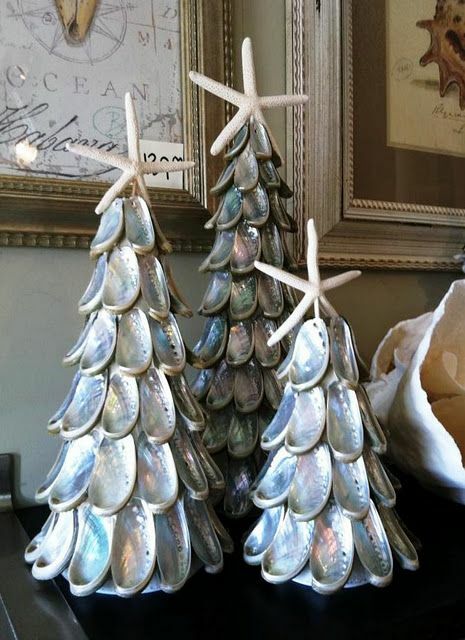 With christmas coming up I can think of no better way then using oyster shells to create some stunning little christmas trees – especially with the starfish on top. 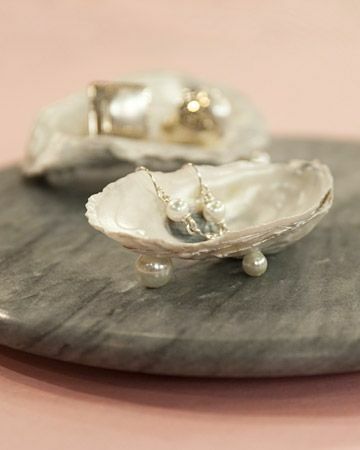 Oysters typically hold pearls, so it would stand to reason that they would make great little holders for pearl earings and other jewellery. 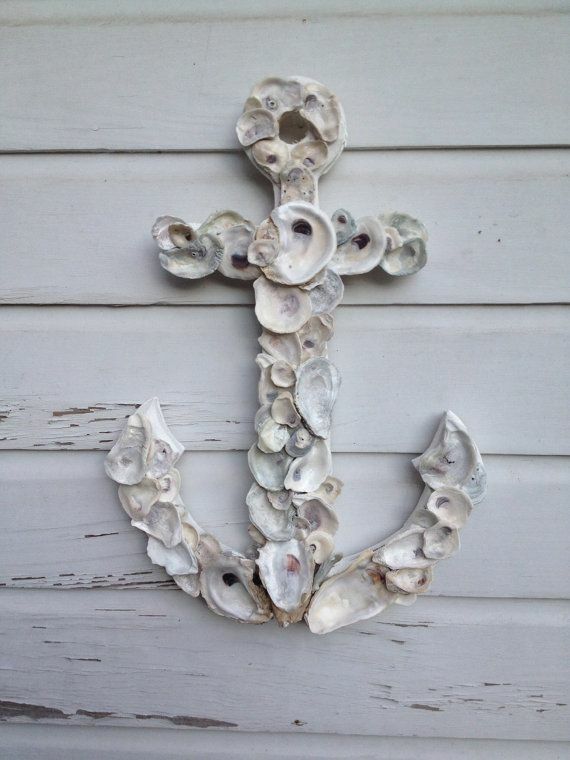 If you really want to double up on the beach decorations and kill two birds with one stone then create this gorgeous anchor. Like in the picture, these are perfect for setting on a wall somewhere throughout the house. 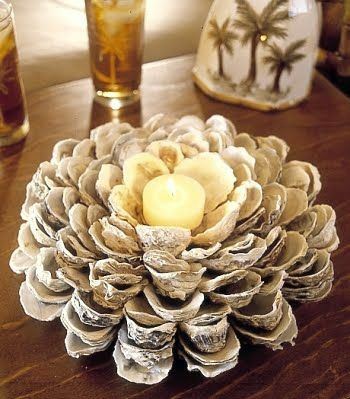 If you have a number of spare shells that you can spare, then definitely have a crack at making a centerpiece like the one in the above image. It might take a bit of work but it is going to be worth it in then. 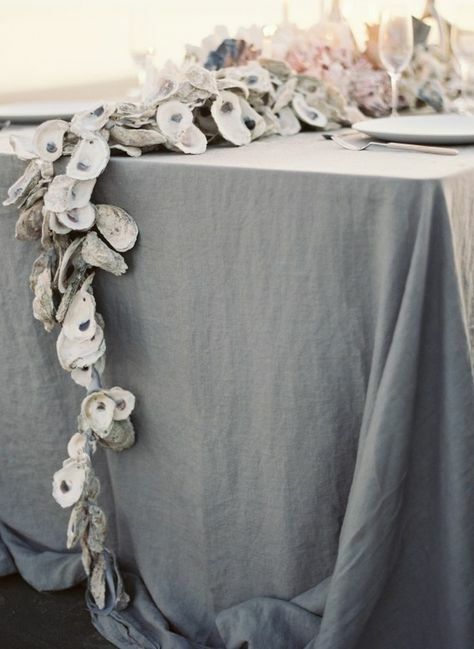 Sprucing up your house with some Coastal Wallpaper inspiration! Need Driftwood for your decor… why not make your own?